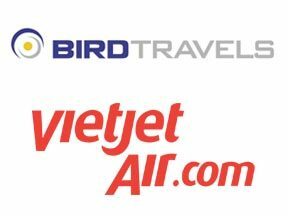 Vietnam’s low-cost airline, VietjetAir has appointed Bird Travels as its GSA in India. Vietjet has been expanding its flight network in Vietnam and will continue to spread its wings to new destinations in the Asia Pacific region and around the world. Vietjet’s flight network covers Vietnam extensively and includes connections to Thailand, Malaysia, Singapore, Hong Kong, Korea, Taiwan, Myanmar and eight destinations in China. It is operating a fleet of A320s and A321s having an average age of 3.3 years. 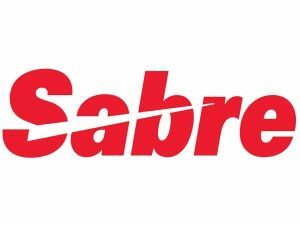 Sabre Corporation and Air Seoul, Korea’s newest low-cost carrier (LCC) under the Kumho Asiana Group, have signed a multi-year global distribution agreement making Air Seoul content available to travel agents via a Global Distribution System (GDS) for the first time. The agreement between Air Seoul and Sabre will give 425,000 Sabre-connected travel agents access to even more low-cost flights and fares in the Sabre Travel Marketplace, which now includes content from over 100 LCCs globally. Air Seoul launched earlier this year, commencing domestic flights between Gimpo and Jeju in July. Last month it began its international operations, adding routes to Japan and Cambodia. 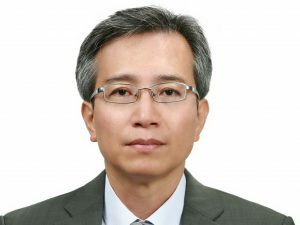 “Gaining access to Sabre’s extensive network of travel buyers is a key component in our growth strategy and particularly important as we expand our operations internationally,” said Ryu Gwang-hee, president of Air Seoul. “Sabre has a vast global network of agencies using its travel marketplace which it pairs with a unique and very local approach to doing business with airlines in Asia Pacific – meaning we get the tailored support we need to market and sell our services effectively as we expand our network.” “We have a rapidly expanding portfolio of low-cost carriers distributing their fares through Sabre, making us a global leader in this area. But really importantly we’re pairing this rich content with a continued investment in technology innovation, which has allowed us to develop more advanced low fare shopping tools that help travel agents find the most relevant travel options for their customer, quickly and reliably – driving revenues for both the agent and the airline,” commented Roshan Mendis, senior vice president of Sabre Travel Network Asia Pacific. Malaysia Airlines has revamped its Business Class seats on its A330 aircraft which flies to destinations in New Zealand, Japan, Korea, China, and India. The Business Class seat comes with a 43-inch seat pitch that converts into a fully flat 76-inch bed. It comes with 90 per cent more working space, extra stowage for personal items and the majority of seats have direct aisle access due to the 1-2-1 and 1-2-2 seat layout. Each seat is equipped with a 16-inch touch screen in-flight entertainment system. 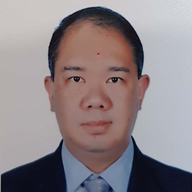 Paul Simmons, Chief Commercial Officer, Malaysia Airlines, said, “The introduction of the A330 Business Class seat will make us more competitive against other full-service carriers and is part of our push to make Malaysia Airlines the preferred carrier to, from and around Malaysia. This is the start of an exciting roll-out of new, innovative and personalised products and services that we can’t wait to share with our guests.” Business Class passengers can also take advantage of Malaysia Airlines’ award winning satay stick appetizers served with delicious peanut sauce in flight or the ‘Chef-on-Call’ dining service, providing advance meal selection from 25 options consisting of Malaysian specialities, chef specials and healthy choice dishes, with advance booking.